Dr. Gary’s first encounter with chiropractic care came about after an auto accident. At the emergency room, doctors said nothing was wrong, but the pain wasn’t going away. The painkillers that were prescribed didn’t make a dent in his discomfort, so he went to the chiropractor. Within a short period, Dr. Gary regained his health. “I was amazed. I wondered, why didn’t I know about chiropractic? I talked to the chiropractor about what he did, and it got me excited to make chiropractic my career.” After having several sports injuries growing up, he was surprised to discover there was an alternative to drugs, injections and surgery. Dr. Gary thought it made sense to correct a problem instead of patching it. To complete his chiropractic education, Dr. Gary enrolled at Life University in Marietta, Georgia, having already completed his undergraduate years at the University of Maryland. Since his graduation, he has given over 800,000 adjustments to kids, adults, athletes, car accident victims and more. One of the greatest breakthroughs in his practice came when Dr. Gary found out about laser pain relief therapy. His children, both active soccer players, had a big game coming up but were sidelined by a sprained ankle and a sprained knee. A recovery that typically would have taken 4-6 weeks was achieved in a single week, and both his children were able to compete in their game. Dr. Gary then ordered the same laser to use on his patients, knowing that they could see a remarkable improvement in a short period. 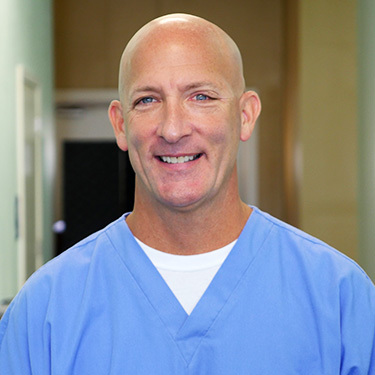 Dr. Gary loves watching and playing sports, having grown up playing competitively in several. He has three children: one at the University of Florida, another at the University of Stirling in Scotland and the third attends community college in Delaware. In his spare time, he likes to be with his kids, go to the beach, jog and lift weights. Additionally, Dr. Gary is a published author. If you’d like to find out more about what Dr. Gary can do for you, contact us today! We have same-day appointments available.